A few mates and I are heading to New Zealand next year to ride motorbikes, booze and generally live it up away from the disapproving glares our our collective wives. Anyway, one of my mates and I were doing the recon on where to hire the motorbikes from. Bearing in mind that 7 of us are going (and the bike hire will be around $2,000 US each) the sale is a decent one – $14,000+ US to the lucky motorbike hire place. 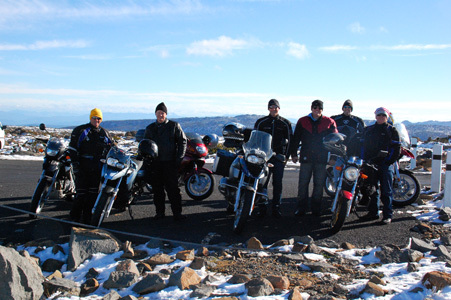 In looking at various motorbike hire sites in New Zealand, we make our decisions. We Spent $14,000 Based On…………..
All we’re looking for when we have $14,000 to spend is that we’re not about to get screwed over. We looked at everything to give us clues about the businesses. If the web site was ugly then we perceived the business to be ugly and dodgy. If the web site was out of date we assumed the business to be out of date and dodgy. If the web site didn’t have a lot of information on it, then we assumed they had something to hide. The biggest barrier to anyone buying anything from anyone is the perceived sense of risk. That is, if there’s the slightest risk of getting screwed over/ripped off then we all run a mile. The people we eventually hired from have a web site that we’d do for about $10,000 US. Part of that $10,000 is spent on figuring out how to allay everyone’s perceived sense of risk in buying from you. Because when it’s all said and done, your web site needs to sell. It’s not about being super pretty or having Flash elements. It’s about getting the web site found and then having the web site make the sale. What are you doing to stop people from buying from your site?